This system can be combined as a set to create a simple portable concrete mixer loading system, or purchased separately. 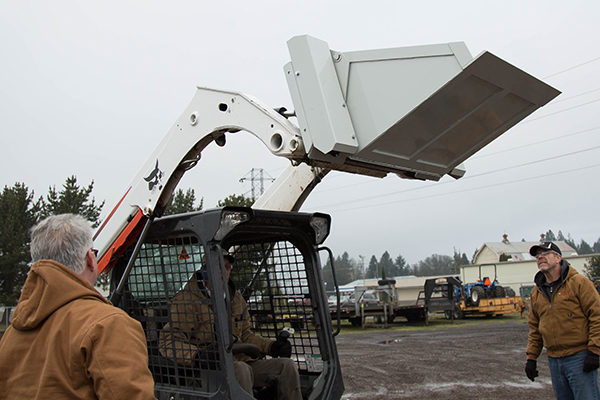 The PortaLoader System is the combination of the PortaLoader Bucket that attaches to a Skidsteer or tractor and a PortaLoader Chute. The chute attaches to the back of a mixer for easy material loading. The Cart-Away PortaLoader is the perfect loading tool for your mid-size portable concrete mixer. Fold the chute up and use your PortaLoader bucket to load the materials into the mixing drum. The PortaLoader tilts up and pins for traveling down the road. 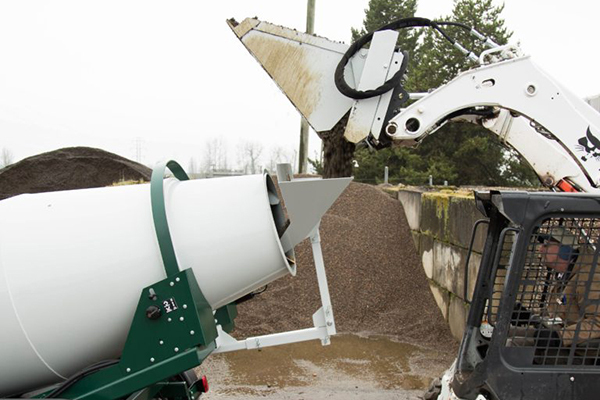 The 44” wide loading chute tilts up over the end of the drum so that you can dispense the concrete from the mixer. The PortaLoader is compact and easy to flip into position. Optional wing-walls can be added to widen the loading target for use with larger tractor buckets. Each PortaLoader can be ordered with a water meter so that you can attach a garden hose and measure the volume of water in your mixer. The water is injected directly into the drum from under the chute.